Every day, life throws something unexpected our way. We might blank on a presentation, have to contribute to a group discussion or be forced to talk to a stranger. Glenn Hall hosting Theatresports for Just Improvise (photo credit: Lincoln Baker). Curtin education graduate and improvisation specialist Glenn Hall believes these moments shouldn’t be feared: they should be embraced. 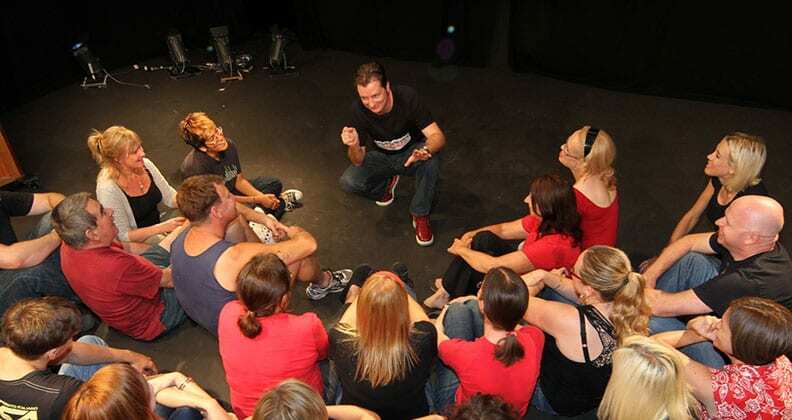 As a tutor at the Western Australian Academy of Performing Arts (WAAPA) and director of WA improvisation training provider Just Improvise, Hall teaches his students how to live more in the moment, have fun and be better conversationalists for their acting, business careers or everyday lives. “Improvisation is the way we think about ourselves and make decisions in-the-moment,” Hall explains. “At first, my students – no matter where they’re from – are worried about getting things wrong. But isn’t that the journey to getting things right? As good old Will Shakespeare wrote: ‘There is nothing either good or bad, but thinking makes it so’. 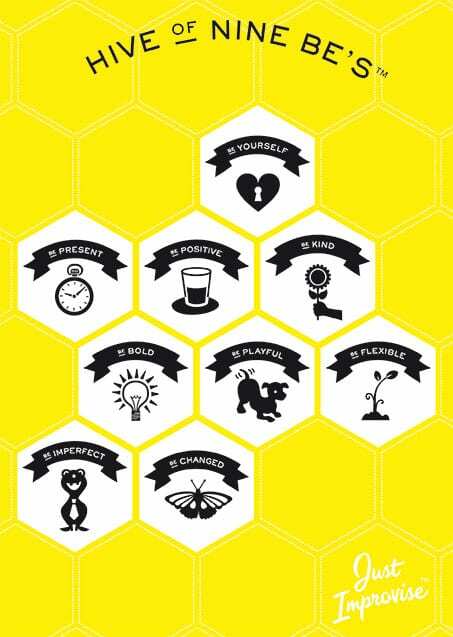 Hall’s teaching is underpinned by the principles of Just Improvise’s Hive of Nine Be’s: be yourself, be positive, be present, be kind, be bold, be playful, be flexible, be imperfect and be changed. As an acclaimed artist, Hall has represented Just Improvise in a number of improvisation festivals overseas, both solo and as part of a duo with Swedish improviser Victoria Bang. This year, he had the chance to tour Europe for five weeks, attending Improfest in Sweden, Comedy Café Berlin in Germany and, for the first time, the Fifth International Improv Festival Tilt in Estonia. He was also selected as a trainer for Impro-Hotel in Majorca, where he played a part in treating German tourists to a unique holiday of improvisation workshops, parties, siestas and food tastings. “The tour was incredible! Because I’m based in Perth – the ‘Madagascar of improvisation’, as I like to call it – a lot of people assume that I’m not good. So I just like to remind people that they shouldn’t assume everything they believe is true,” Hall says. Since he began teaching at WAAPA and Just Improvise in the early 2000s, Hall has mentored hundreds of talented students from around Australia and the world. Some have even gone to careers in Hollywood, including up-and-coming actor Dacre Montgomery, who plays the unredeemable Billy Hargrove in Netflix’s Stranger Things and the Red Ranger in the new Power Rangers film (directed by Curtin alumnus Dean Israelite), and Jai Courtney from Suicide Squad. “It’s interesting: talented people are so many and varied. Dacre was asked to audition for the Power Rangers movie in his last year. And now he’s a freaking superstar,” says Hall. Glenn Hall leading a training session (photo credit: Paul McGovern). 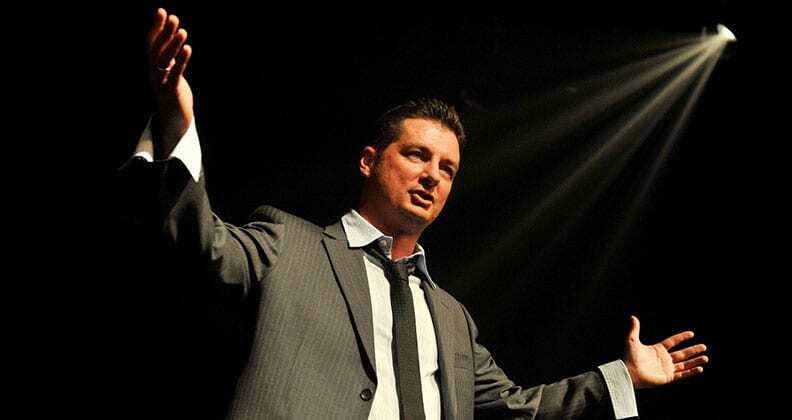 Hall prides himself on being one of the few improvisation teachers to hold a teaching qualification – having graduated with a Bachelor of Education (Secondary Education) from Curtin in 2006. 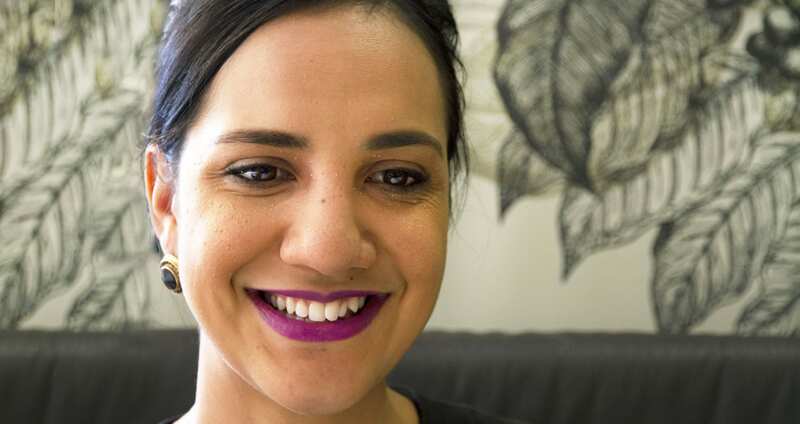 “Because I’d been working as an actor, Curtin gave me credit for recognised learning [as an applicant with work and life experience], which was great. I actually ended up getting a hundred per cent in my final teaching practice and was put on the Vice-Chancellor’s List for finishing in the top one per cent of my year,” he says. Hall says that he has no regrets about pursuing a non-traditional teaching career, and believes that his unique combination of improvisation and teaching isn’t as unusual as it might seem, as all teachers need to be improvisers. “I was always interested in teaching in a high school, but I love where I am now because all I do is teach. I get to stand up in front of a class, change lives and have an impact there and then. I’m not filing paperwork or dealing with potential political shenanigans of working in a school,” he says. If you’re interested in taking a class in improvisation to improve your acting, business, communication or life skills, check out Just Improvise! 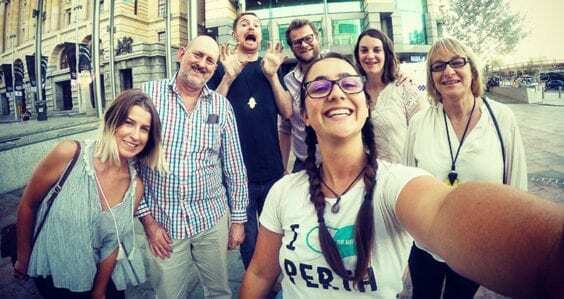 Young alumni stories: Oh hey there, Perth! 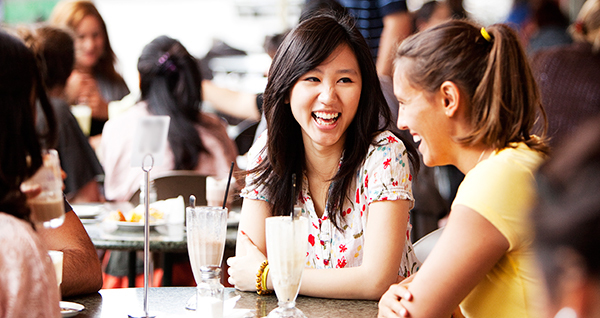 Related: If you’re interested in developing advanced communication and collaboration skills in the field of education, but don’t require registration as a qualified teacher, make sure to look at Curtin’s new three-year Bachelor of Educational Studies.